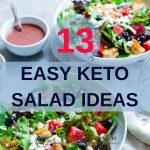 Keto salads are something which you can have it with meals or take it as your lunch or dinner alternative. A bowl of nutrients and healthy fats. 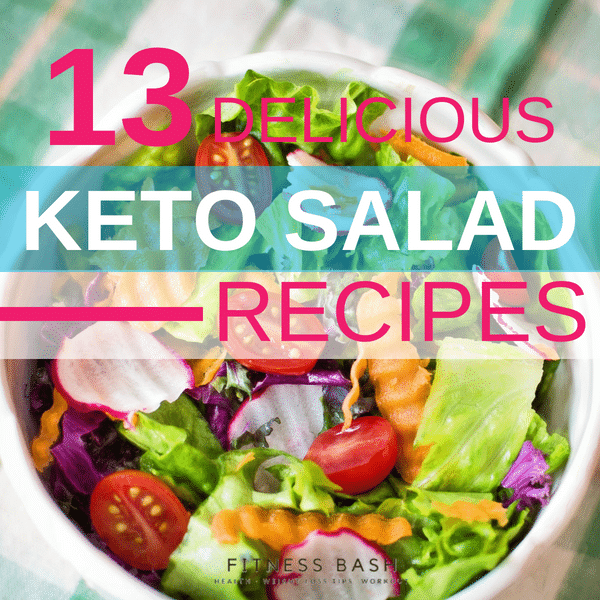 Here are 13 keto salad recipes which I like. Some of them I just can’t stop myself to make them over and over again. 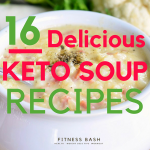 This is a keto friendly recipe perfect for summer days. The beauty of this salad is that you can make it ahead of time and refrigerate it for several days. This keto salad is flavor packed with black olives, roasted peppers, and salami stripes. 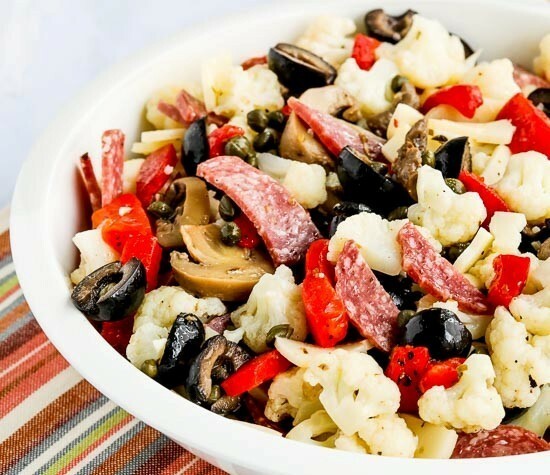 Main ingredients: Cauliflower, marinated mushrooms, salami, provolone cheese, black olives, roasted red peppers, and drained capers. If you like cabbage recipes then you are going to love this. This savory salad with lightly fried chicken with sauteed veggies will give a mouthwatering effect. With net carbs of 7 gm you just cannot miss this. Main ingredients: Chicken thighs or breasts, sweet paprika powder, cabbage, snow peas, garlic, ginger, scallions, rice vinegar, sesame oil, and coconut aminos. Image and Recipe by wholesomeyum. 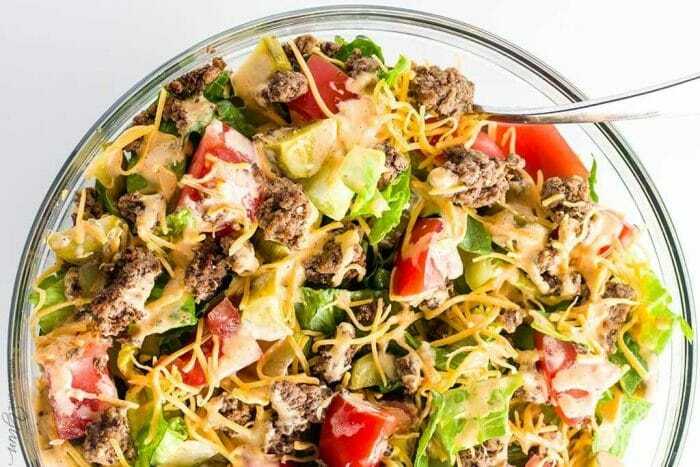 A classic combo of smoky ground beef, lettuce, tomatoes, shredded cheese, and salty pickles. This is a low carb, gluten free keto recipe which you can make under 20 minutes. It contains only 2 grams of net crab. Main ingredients: Ground beef, romaine lettuce, cheddar cheese, tomatoes, pickles, mayonnaise, smoked paprika, mustard, and white vinegar. If you do not like broccoli then this may not be for you. But you can definitely try once as it will give you a distinctive flavor of sour creme and cheese. Main ingredients: Broccoli, sour creme, lemon juice, grated cheese. This is a delicious keto salad recipe which you can prepare in just 5 minutes. Avocado contains so much of healthy fats that it is just perfect for any keto recipes. Main ingredients: Avocado, pepperoni, mozzarella, Italian seasoning, and lime. Do not get mislead-ed by its name. 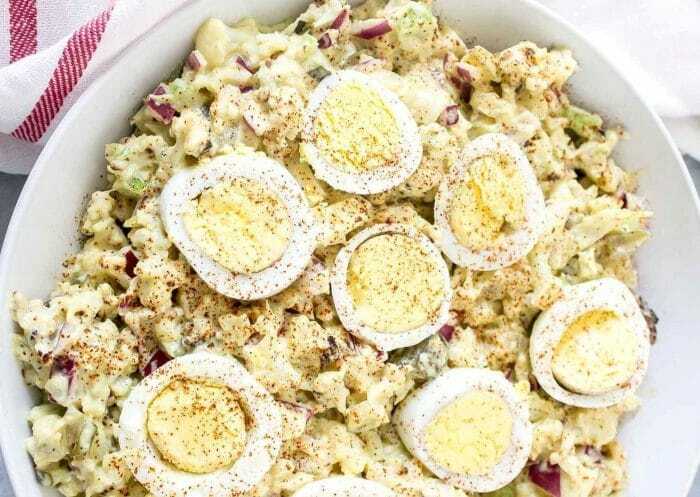 Main ingredients: Eggs, cauliflower, mustard, mayonnaise, dill pickles, olive oil, celery and white vinegar. 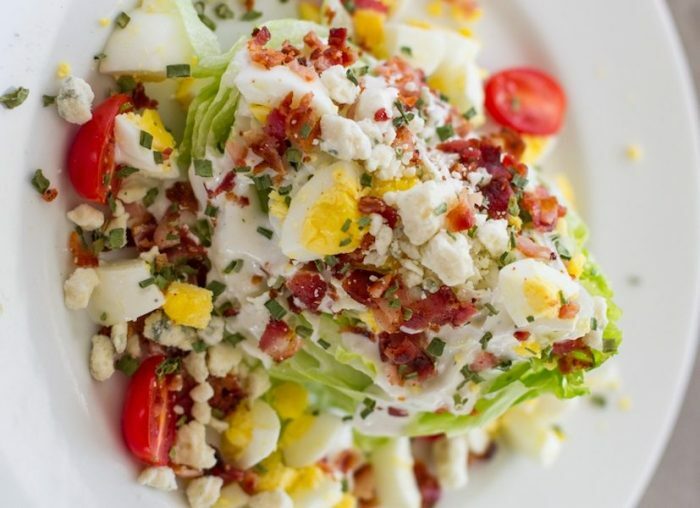 With iceberg lettuce, bacon and tomatoes this salad can be your complete lunch. The hard-boiled eggs and blue cheese crumbles fill your stomach more. Main ingredients: Greek yogurt, sour creme, mayonnaise, crumbled bacon, boiled eggs, tomatoes and cheese crumbles. You can make this beautiful colorful salad in just 10 minutes. With creamy cilantro lemon dressing, this salad is just going to sway you off your feet. 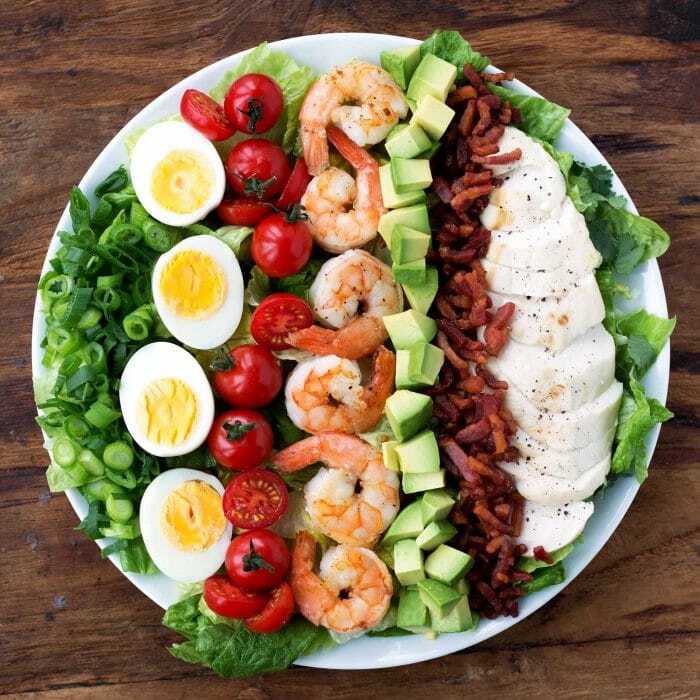 Main Ingredients: Romaine lettuce, cooked shrimp, chicken breast, boiled eggs, crumbled cooked bacon, cherry tomato, avocado, onion, and chopped cilantro. This is an awesome keto salad with cherry tomatoes, basil, and fresh mozzarella. This keto salad recipe is going to take a bit of time to prepare but it’s worth it. Main Ingredients: Chicken breast, cherry tomatoes, fresh mozzarella, sweet yellow onion, mayonnaise, fresh basil, and garlic powder. 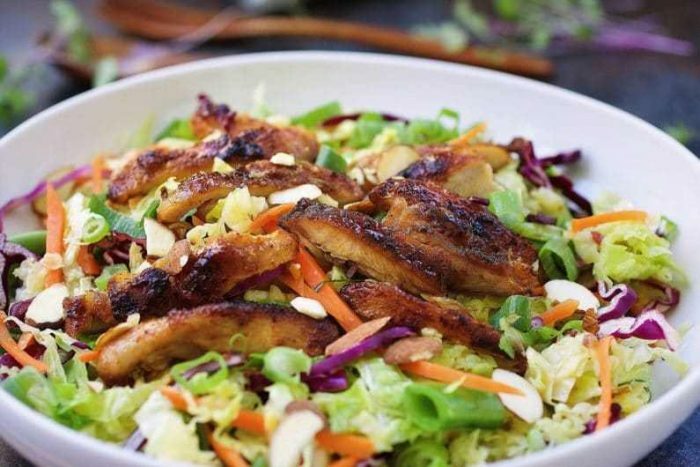 With 6-gram net carb and cooked chicken, you can also have this keto salad as dinner. I won’t say that is a quick salad but this will not gonna take you more than 20-25 minutes to prepare. 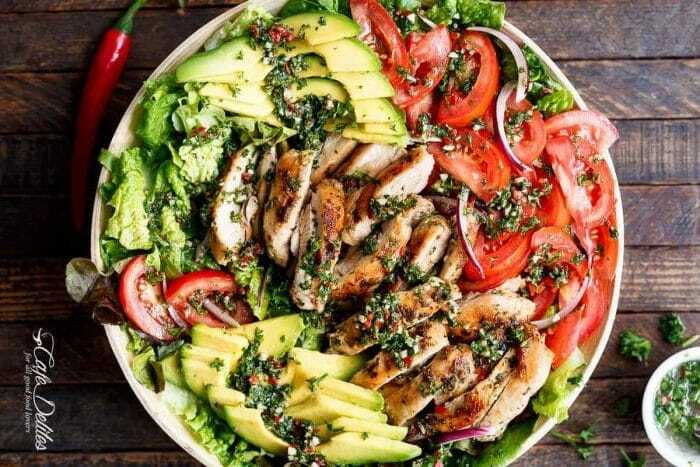 Main ingredients: One batch of authentic Chimmichuri, Chicken thigh fillets, Romaine lettuce leaves, tomatoes, onions, and avocado. This is a very light salad which you can prepare quick and easy. This basically requires just 4 ingredients to make this. 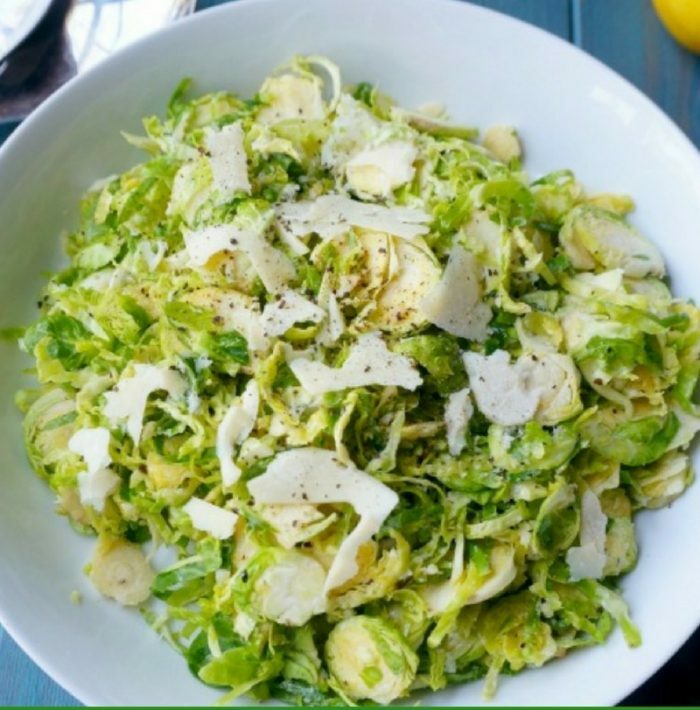 Main Ingredients: Fresh Brussel sprouts, olive oil, lemon, parmesan cheese, salt, and pepper. 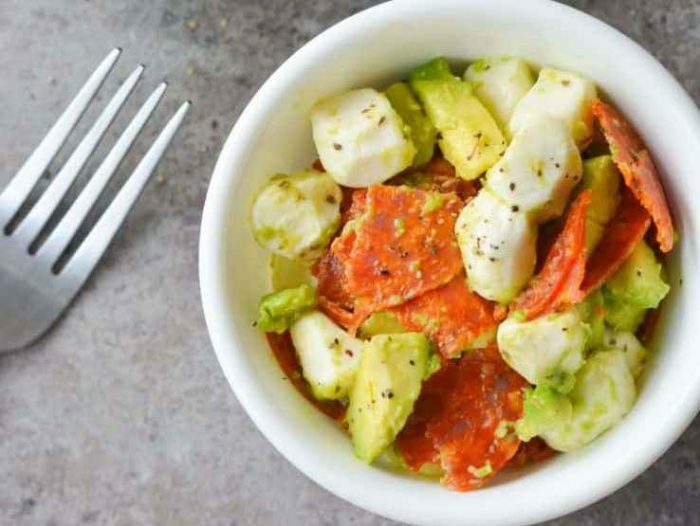 This keto salad is going to take you a total of 10 minutes to prepare. It is a healthy and tasty salad which is too easy to make. 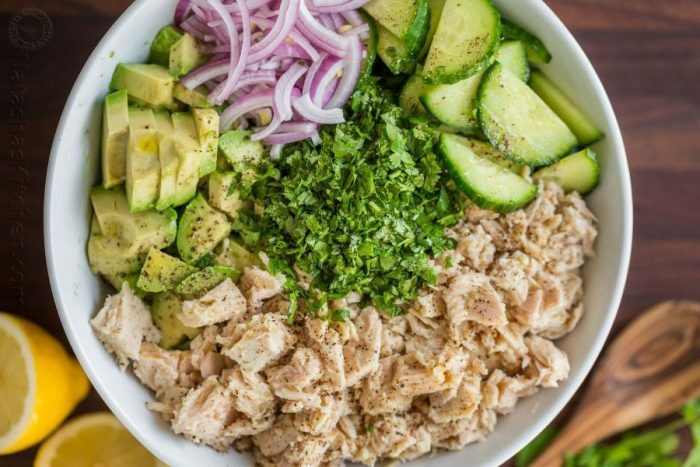 Main Ingredients: Cans tuna in oil, drained and flaked, cucumber, avocado, red onion, cilantro, and lemon juice. Yet another light salad for summer days. 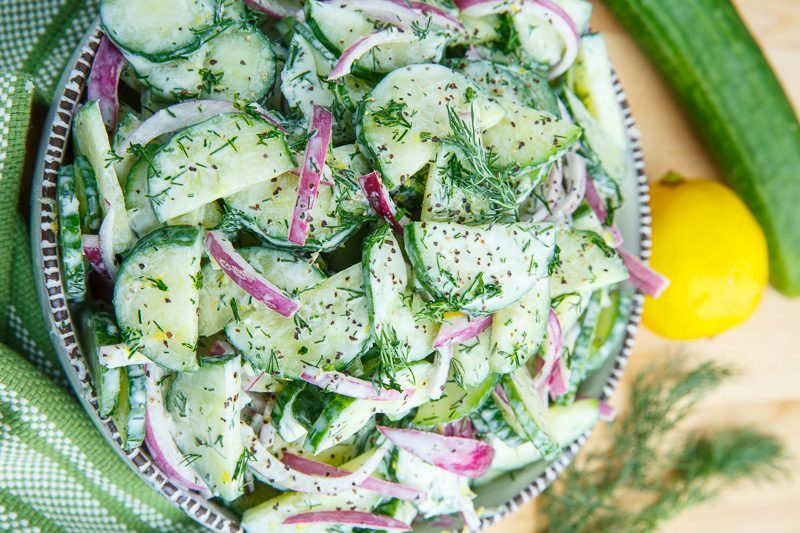 Main Ingredients: Cucumbers, onions, greek yogurt, dill, lemon juice, and garlic grated. 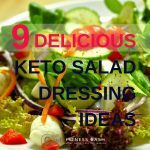 9 Keto salad Dressing ideas you will love.